On the eighth day of Christmas, I took myself up to Scandikitchen on Great Titchfield Street to discover somewhere new for lunch. 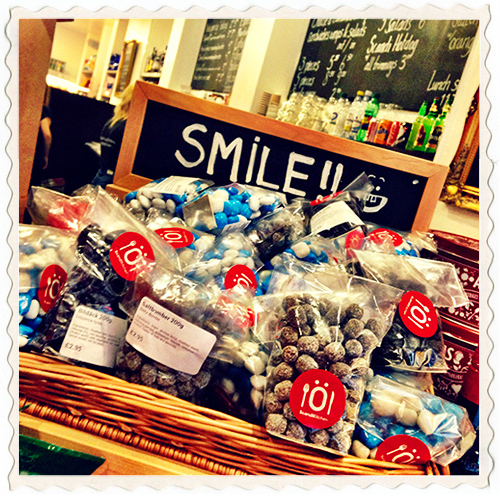 A place where I realised Scandinavian Christmas treats will ALWAYS make me smile! 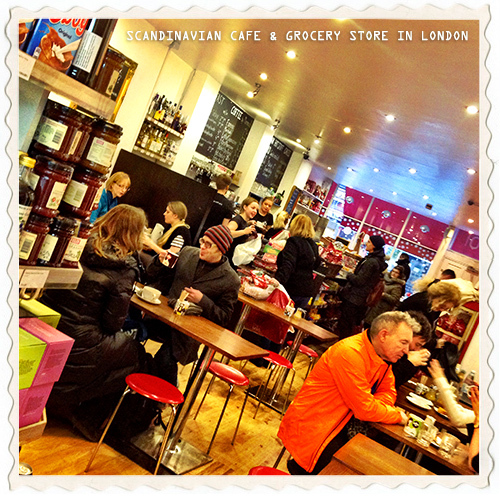 The Scandinavian Kitchen serves a good range of open sandwiches, great looking cakes and coffee, and is a good place to take a break if you ever find yourself around Oxford Circus shopping. 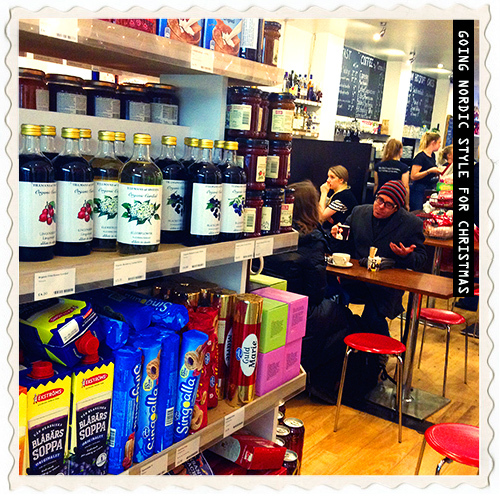 The Cafe oozes with enthusiasm and good humour from cheeky sayings on their outside A black board to assorted gifts and books, all which has helped them to create a relaxed and busy cafe. Getting a seat at lunchtime from what I saw, might not always be easy, we only just managed to grab a seat and it was after 2pm in the afternoon! The tables were very close together and the decor wassn’t the best example of Scandinavian design, but I’m pretty sure everyone was there for the food. 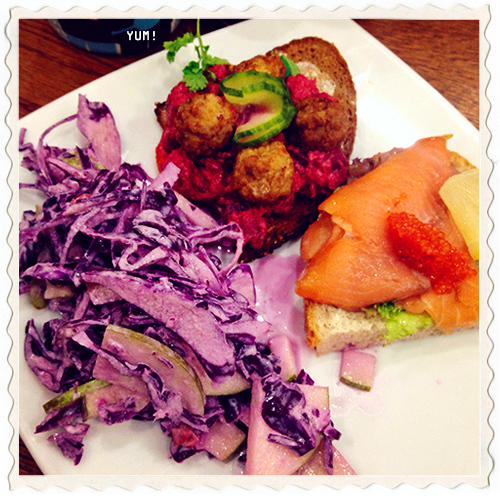 I ordered their 3-piece smörgåsbord of open sandwiches and salads – consisting of a plate of smoked salmon with dill dressing and cucumber on crusty stone-ground bread and a Swedish meatballs with beetroot and apple salad with extra salad to satisfy even the hungriest of Vikings. It’s all good value here and the food’s nicely presented. I was tempted to sample the entire dessert menu too, especially the Cinnamon cake and Gluten-free orange and chocolate brownie, but time was short and the studio was calling my name back – a great reason for going back again though! There is also a small deli shop attached to the cafe with Danish and Swedish products, a range of goods from Denmark, Sweden, Norway and Finland ~ lots of interesting produce for a Nordic themed food hamper. The place has a hint of kitschy cool, a great new lunchtime discovery in central London!